Digitell is a multimedia company specializing in servicing the association market with digital services. Digitell offers a suite of digital solutions like content capture, abstract management, digital directories, automated evaluations and accreditation, and 3D virtual business applications on gaming software. Digitell is currently focusing its efforts on meetings and conference solutions and runs 2 public events a month where guest speakers are invited to come and talk about what they do and how they see their technology fitting into these. It is all run at Digitell’s virtual auditorium - VirtualU. VirtualU provides an immersive, interactive, 3-Dimensional experience that replicates its real-life counterpart in a realistic online environment. If you are currently running webinars, tele-seminars, or live educational sessions, VirtualU can easily transition your event into Digitell’s virtual platform allowing you to convey your message in a highly-effective format while increasing your ability to interact with attendees through text chat, voice over IP or integrated social media. Running a virtual event is a way to broaden your reach, spread your message and create excitement surrounding your association or company. Digitell is an industry-leading company offering a turn-key package for ease-of-entry into using virtual technology. Whether you know absolutely nothing about virtual worlds or are a seasoned user, Digitell will handle everything you need, from branded registration pages to customer support and training. Digitell offers both a 2D and 3D experience, so your education and message can be watched by anyone with Internet access, PC or Mac. Mac users and those not wishing to create an avatar can view the presentations in a 2D environment; PC users can enter the 3D world for a totally immersive experience. 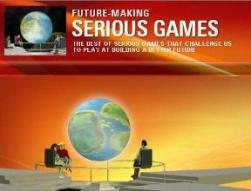 All participants utilize the same chat screen, Q&A, Polling and downloading materials. If you need to reach out to international markets, Digitell translates your Event into multiple languages for global outreach. 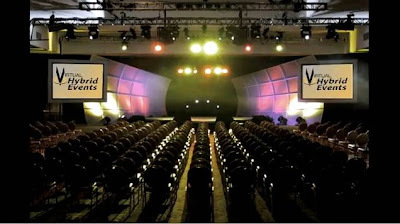 A lot of time, thought, and money goes into the planning of your general session. It’s the highlight of your annual meeting. 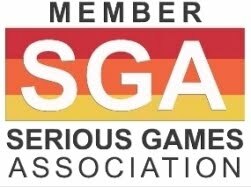 You choose topics and speakers that will captivate and excite those in attendance, but your membership is much larger and broader than just those who are able to attend your meeting. Digitell will staff your meeting with the professional technicians and equipment needed to capture your event and stream it in real time into the VirtualU platform. 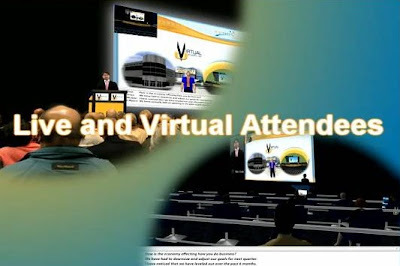 Attendees will be able to interact with each other in the VirtualU environment through text chat and integrated social media, and they will also be able to communicate with live attendees through built-in micro-blogging technologies. Live attendees will also be able to ask questions of presenters through VirtualU’s built-in Twitter ports, if they choose to not step up to the microphone. 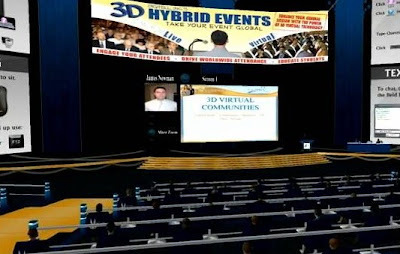 VirtualU’s hybrid events combine the excitement and intimacy of a live event with the convenience of the Internet to create a unique experience that can extend your reach to the world.